Alan Katz is Brookwood’s President and serves as Vice Chairman of the Board of Directors. He is the firm's senior officer in the San Francisco office. He is particularly focused on development, investment, entitlements, strategic real estate planning, property analysis and development management activities. Alan is among several Brookwood executives who are actively involved with Brookwood's joint venture with Los Angeles based evolve real estate LLC. Alan’s experience as an urban designer, architect, corporate real estate leader and private sector developer guides his understanding, relationships and strategies in both the private and public sector projects. Prior to joining Brookwood, Alan was Senior Vice President of Development at Stockbridge Real Estate Funds. Stockbridge is a San Francisco based real estate investment management firm pursuing opportunistic, value add, and core investment strategies with more than $3B in assets under management. From 2003 to 2009 Alan’s role at Stockbridge was providing development advice on acquisitions and dispositions as well as providing oversight on the development activities with several of Stockbridge’s operating partners. 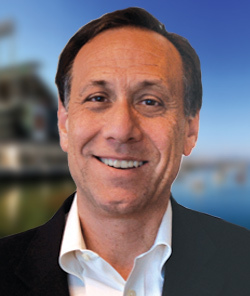 From 2000 to 2003, as Director of Development at Spieker Properties and Equity Office Properties, Alan had overall responsibility for the approvals, development and construction of the award winning Park Place at Bay Meadows Mixed-Use Project in San Mateo, California. This 10-acre project (including office, retail, restaurants, housing, site-wide underground shared parking and off-site public infrastructure) is one of only a few true mixed-use projects in California that has completed the entire development and operations cycle through disposition. Thomas Daniel worked closely with Alan throughout this project leading the construction management effort. From 1995 to 2000, Alan was Director of Corporate Real Estate, Facilities and Operations for The Gymboree Corporation, an international specialty retailer. Reporting to the CFO and the COO, Alan was responsible for the strategic planning, real estate transactions, entitlements, development and construction of the company’s corporate real estate projects. Alan is a Licensed Architect in the State of California and has practiced architecture and urban design with SOM (Chicago), Cooper-Eckstut (NYC) and RMW (San Francisco) with an emphasis on adaptive reuse of existing structures, master planning strategies and urban infill projects, mixed-use projects and Transit Oriented Development. Alan holds a Bachelor of Arts (Honors) degree from UC Berkeley, a Masters of Architecture degree from Columbia University and a Masters of Architecture in Urban Design from Harvard University.